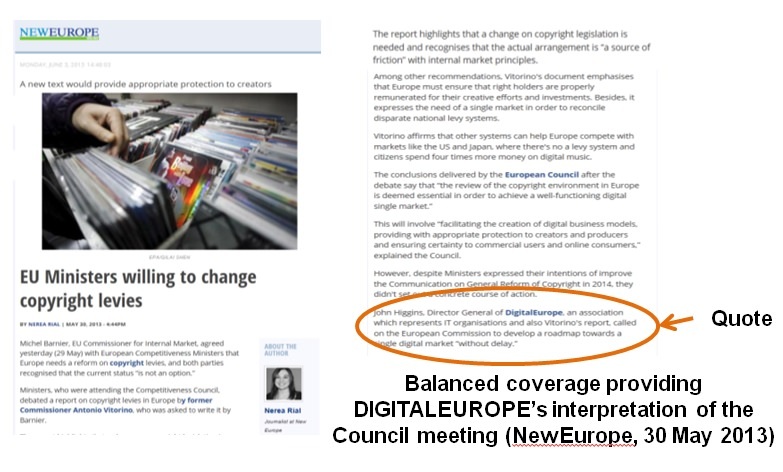 Challenge: DIGITALEUROPE, the European trade association representing electronics manufacturers, engaged APCO to amplify their messages surrounding the need for changes to copyright levies in the immediate lead-up to a key Council of European Ministers meeting. 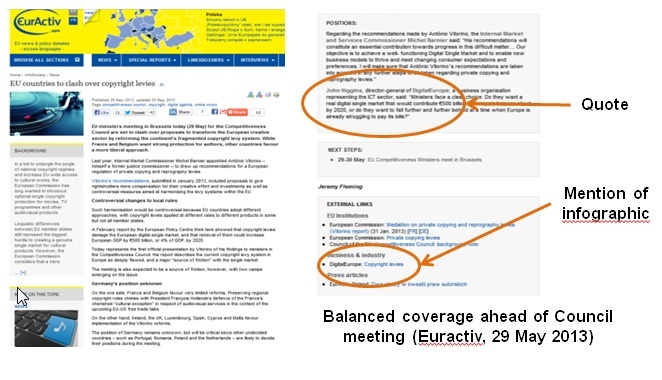 Approach: DIGITALEUROPE’s previous traditional advocacy efforts hadn’t gained traction. With only two weeks to spare before the meeting, APCO designed and executed a media and social media campaign to raise visibility of the key messages with opinion elites. 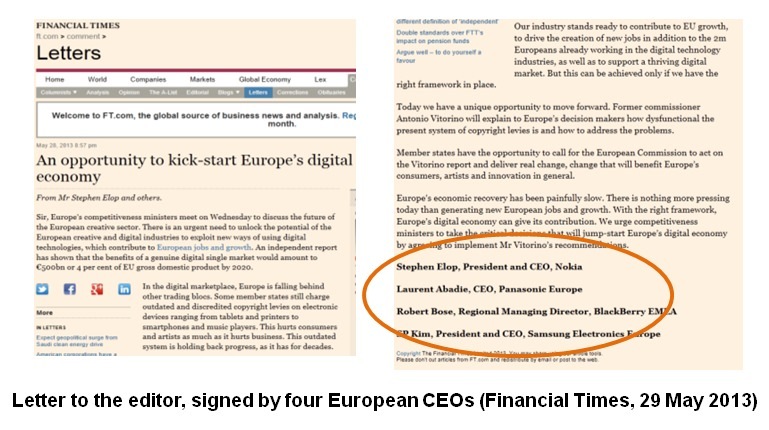 Results: DIGITALEUROPE’s key messages received widespread positive coverage, including a joint-CEO letter published in The Financial Times, coverage in EurActiv, New Europe and Mlex. The association grew its Twitter followers and generated direct contacts on social media with key target ministers. A favourable position was adopted in the Council of Ministers’ conclusions which acknowledged the status quo was no longer tenable and that policy change was needed on copyright levies.